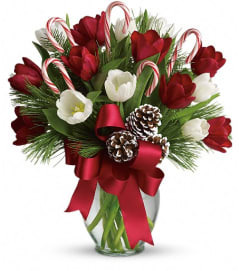 This elegant centerpiece will get everyone in the holiday spirit! 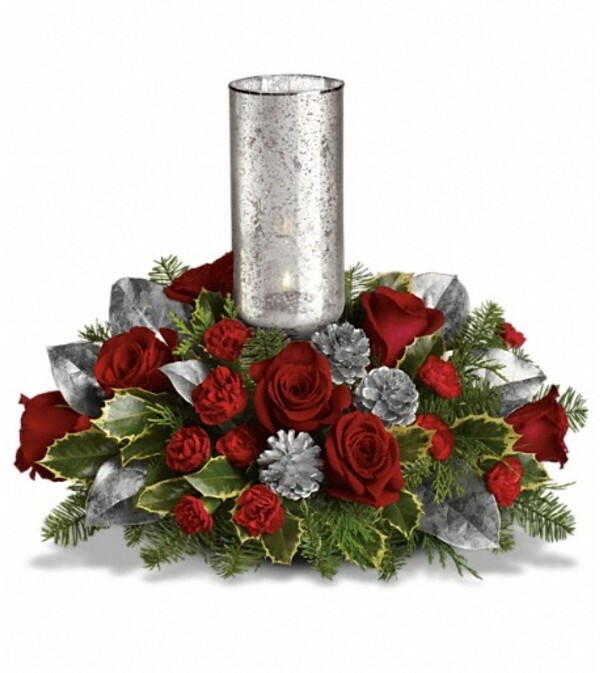 Includes red roses and miniature carnations arranged around our stunning Silver Glow mercury glass hurricane. 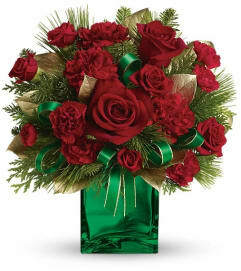 Red roses, red miniature carnations, lemon leaf and tips of noble fir, holly and flat cedar are arranged to perfection. 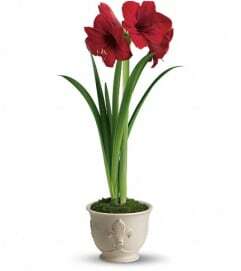 Delivered with a Silver Glow mercury glass hurricane.